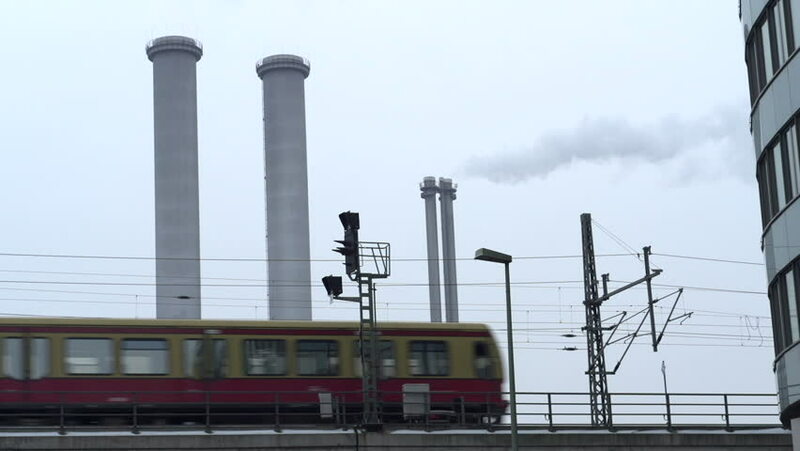 BERLIN, GERMANY - CIRCA 2014: Train goes by in front of smoking industrial plant background in Berlin, Germany. hd00:36Smoke from factory over blue sky. Industrial pollution. 4k00:07Air Pollution From Industrial Plants. Smoking industrial pipes. Red with white pipe.